For more than a year, workers at Esso’s gas plant at Longford in Victoria, have been out of work and maintaining a permanent vigil outside the gate, over their refusal to accept a cut to a third of their wages, and a roster that they say, would undermine their working conditions. These workers and their families are having a hard time of it, and need donations from supporters to help them get by. Workers Solidarity in Melbourne has organised a trivia/auction fund raising event. Book a table or for one. Come. Have some fun and help raise some money. Event organised by Workers Solidarity. The attacks by the big corporations and government on our working conditions and many other rights that are vital fr a decent life are mounting are likely to get worse in the near future. This is a very good reason why we should all put in that little extra to make year’s May Day a great success, and make it part of a growing fight back. Early childhood educators have a huge responsibility educating children in the first few years of their lives. But the Federal Government doesn’t value our work; we’re paid as little as $21 an hour. 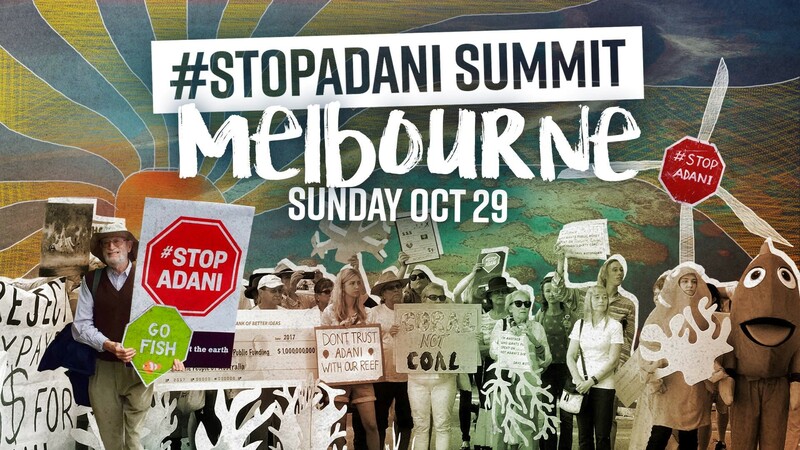 As part of developing the national campaign to put a stop to the Carmichael coal mine in Queensland’s Galilee Basin, activists are getting together In Melbourne to contribute to the effort.